Nick Heidfeld has been confirmed as a Renault driver for the 2011 season, replacing injured former BMW team-mate Robert Kubica until the Pole is fit to race again. 33-year-old Heidfeld, a veteran of 172 grand prix starts, looked set to spend this season on the sidelines after being replaced by rookie Sergio Perez at Sauber. The German also started 2010 without a race seat but joined the Swiss team for the final five rounds of the campaign after Pedro de la Rosa was relieved of driving duties. 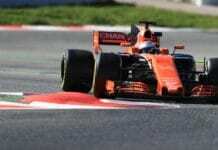 Now he will enter the new season in a car seen by many as a potential race winner, and with a team-mate in Vitaly Petrov he will likely see himself as well capable of beating. Heidfeld tested for Renault at Jerez last weekend, ending the day fastest and impressing the team with his technical feedback. He is the current record holder for most podium finishes achived without a race win (12), an unenviable disticntion he shares with Swede Stefan Johansson. In a statement released today Heidfeld admitted he was not happy to land a drive due to a fellow racer being injured but was fired up to do a good job for the Enstone-based team. “I would have liked to come back to Formula 1 in different circumstances, but I’m proud to have been given this chance,” said Heidfeld. “Everything has happened so quickly, but I’ve been very impressed by what I have seen so far in terms of the facilities and the dedication of the people at Enstone. Nick will test for the team in Barcelona next week, sharing duties with Petrov. Previous articleTo rally, or not to rally? Silverstone Special – Baby Badger is back!